NDCGA is currently seeking businesses to advertise in our 2019 CornTalk newsletters. 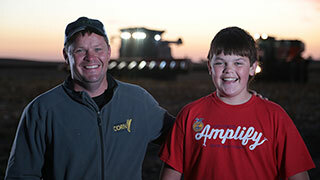 The CornTalk newsletter is produced quarterly and mailed to over 13,000 corn producers in North Dakota. Businesses advertising in CornTalk will gain recognition in each issue and be able to place ads and articles in issues of your choice, as well as receiving each issue and being recognized on our website. Your support enables us to encourage growth of corn production through educational and trade show events, membership recruitment, and legislative activity on both state and national levels.